Imagine you want to buy a car. A good car that will be fast, reliable and will last a while. So you ask several car shops to send you a 20 page document describing the car and its many benefits, then you base your car purchase on the best written document. That's what an RFP is. It's like shopping for a car without test driving. Why would you want to commit to a nice set of wheels before taking it out for a spin? Using RFPs to select vendors makes as much sense as shopping for a car blindfolded. If you're looking for creative solutions, why use a process that removes creativity? Proposals only tell you how good a vendor is at writing proposals. 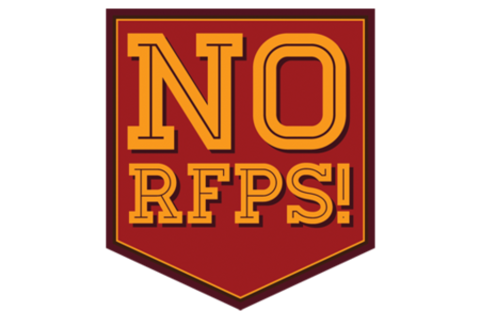 The No RFPs movement, started on the heels of SXSW 2012, is continuing to catch on. Our industry needs a breath of fresh air, a new solution. Join us as we continue to develop an approach that is more human and approachable, a process that treats developers and designers like creative professionals, but still meets client requirements. Web Producer & UnConference Organizer, Drupalista, Open Source Advocate, and fan of Finding a Better Way. DFW -> LAX -> YVR -> LAX -> SEA -> SFO. Digital strategist, web consultant, and open-source advocate at Four Kitchens in Austin, Texas. Interested in media, publishing, education, non-profit, and social justice. Born in a subterranean cave in the future. I am the principal vendor liaison for Stanford University for web development. I find qualified vendors for Stanford's web projects without resorting to grotesque RFPs. Come to my panel to find out how!